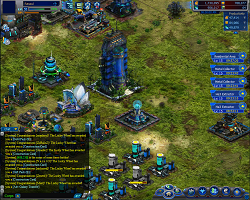 The last couple of weeks I’ve been playing this game Galaxy Online. 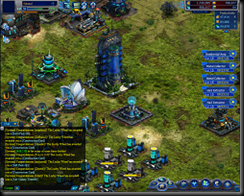 It’s a flash based isometric sci-fi RTS, the logical progression from games like oGame. It’s a rather simplistic game on first and probably even second look, but there are some intricacies to be found (and exploited ). Thus far I’ve progressed along fairly nicely and truly like the game. The primary fun factor for me probably isn’t the game itself (which is nice but nowhere near exceptional ^^) but the part of the community I found and ended up being part of. Check the game out either on Facebook or directly via the igg homepage.